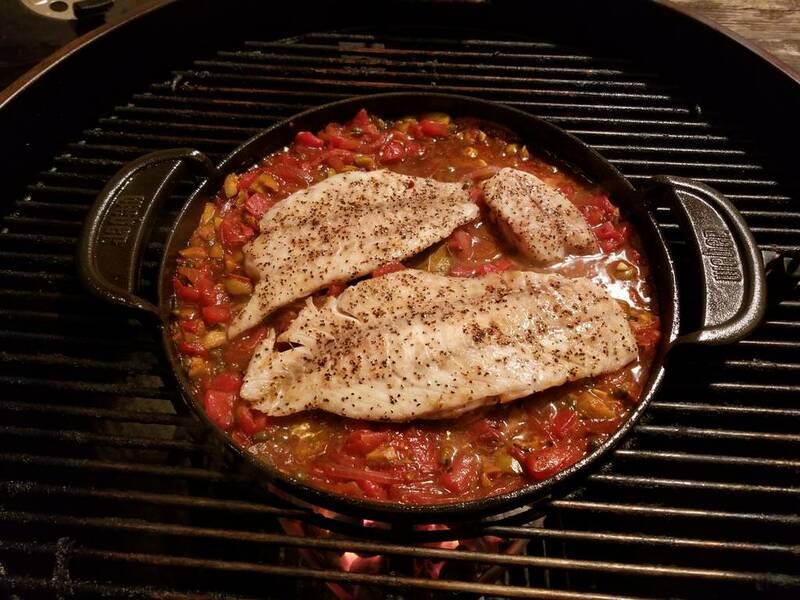 Snapper Veracruz - The BBQ BRETHREN FORUMS. 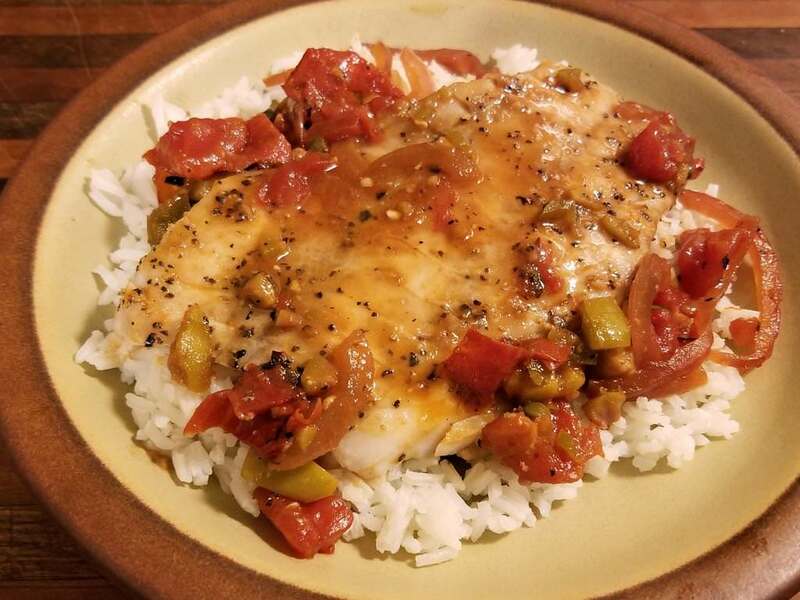 Local supermarket had wild caught USA snapper on sale - an old favorite that I haven't cooked in ages. 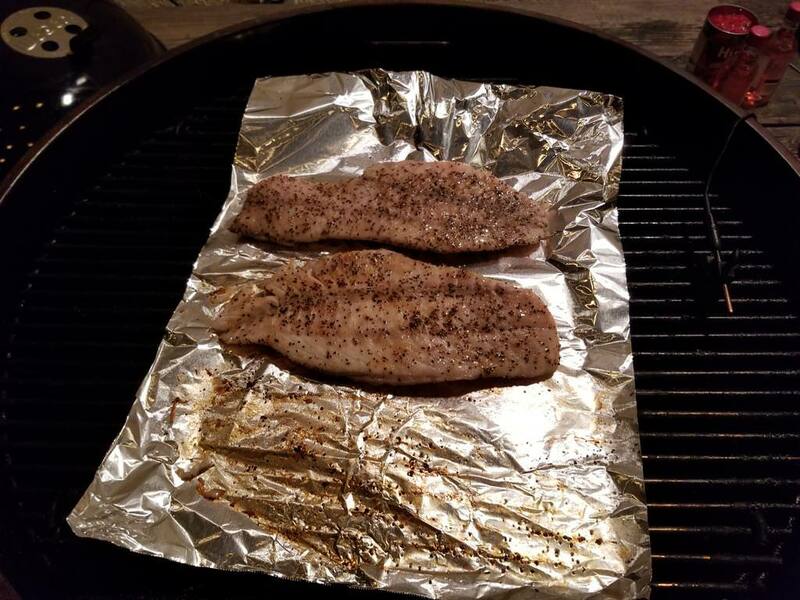 Fillets lightly brushed with evoo and seasoned with Ksalt and coarse ground black pepper. Grilled for 2 minutes per side. Removed the fish and covered. 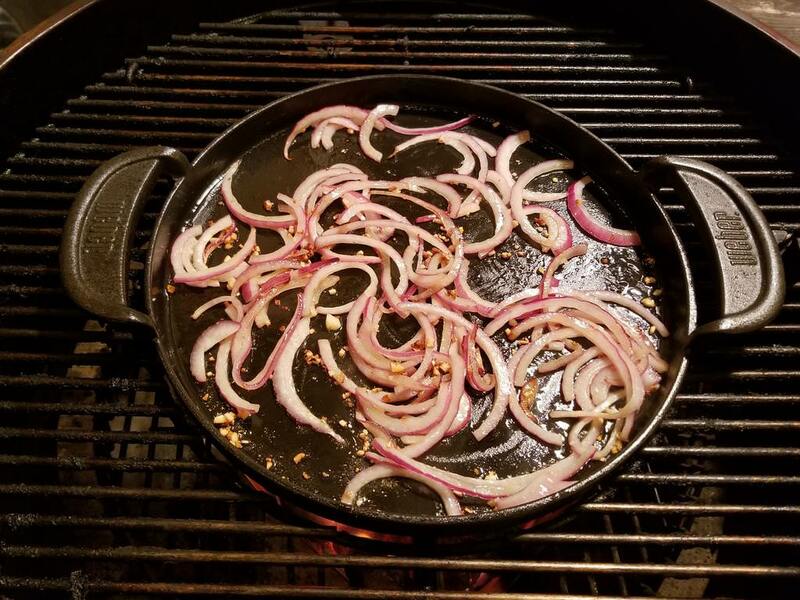 Sauteed some thinly sliced red onion (not quite 1/2 an onion) and finely chopped garlic (3 cloves) in evoo until the onion was soft. Added some white zinfandel to the pan and reduced the liquid by half. 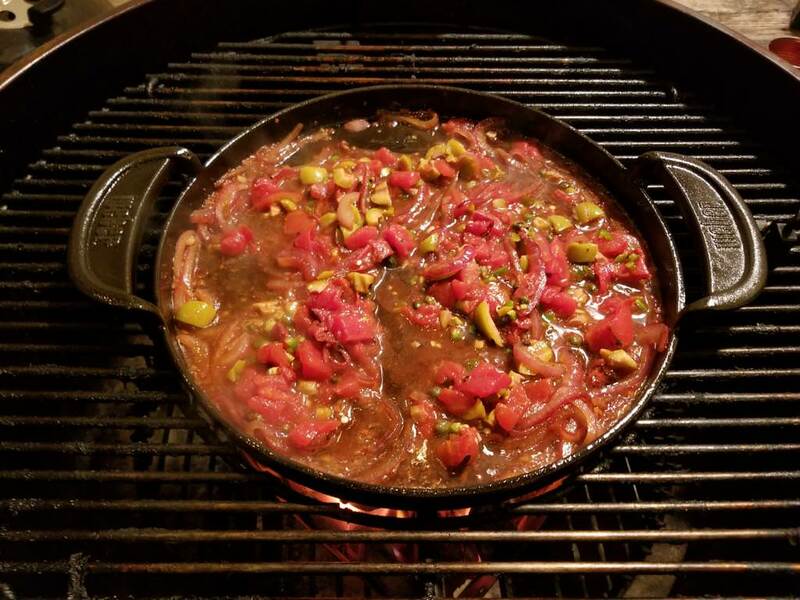 Then added 1/2 can fire roasted diced tomatoes, 1/4 cup chopped jalapeno/garlic stuffed green olives, 1 tbs drained capers, 5/8 a finely chopped long serrano, 1/4 tsp sugar and a bay leaf. And then some more wine. Brought it to a boil, reduced the heat and let the mix thicken. Added the grilled fish and cooked for several minutes longer. Boom you had me at Snapper, excellent cook Robert going to have to give that a go for sure. 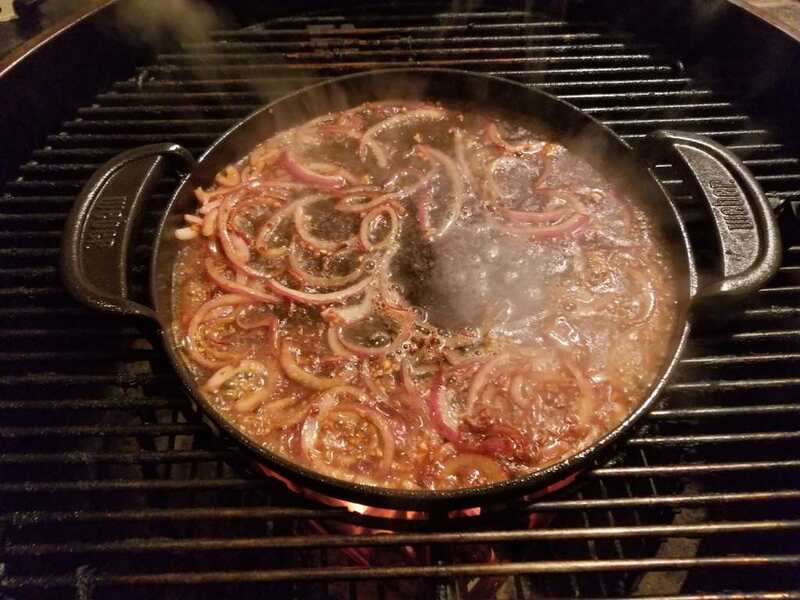 Thank you for posting your cook. Great post! That looks fantastic. Yet another amazing cook Robert, thanks for sharing. I'll bet that tasted wonderful!!! Giddyup Robert! That looks fantastic!